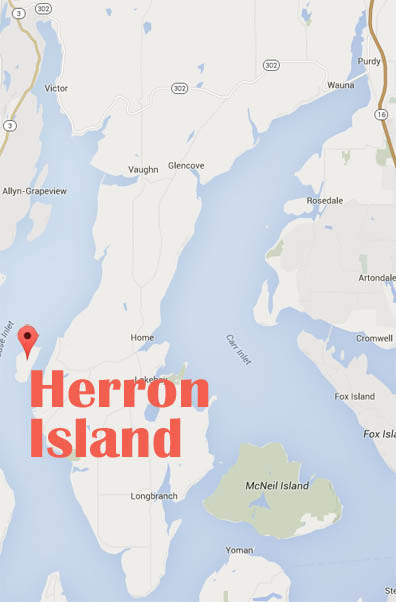 Originally visited by Peter Puget and named Wednesday Island, Herron Island (map) had its name later changed by Lieutenant Charles Wilkes. 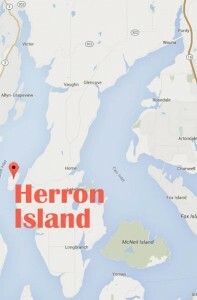 He named the island after one of his sailors, Seaman Herron. It is a completely private island, 1.25 miles long and ½ mile across and is reached only by a private ferry or boat off the west side of the Key Peninsula. It was incorporated on April 30, 1958 and is enjoyed by both full time and summer residents.